Tuesday 4th September: TEDxFulbrightDublin 2018 takes place at the Tivoli Theatre in Dublin’s Liberties from 12pm on 9th September. The theme of this year’s event is ‘Notion of a Nation’ and talk topics under this theme will include Irish culture, justice, consent, direct provision, environmental sustainability and well-being. In July of this year, the organisers put a call out for the TEDxFulbrightDublin 2018 Artist Programme. The successful candidate was Artist Andrew Wielens, a recent graduate of Fine Art Sculpture at the National College of Art and Design. His proposal was to create a sculptural piece in collaboration with volunteers from the Bridge Project – a prison after-care service aimed at rehabilitating ex-offenders based in the building right next door to the Tivoli Theatre. The service offers employment focused training and support in a number of areas including barista and barbershop skills, bicycle mechanics and metalwork. Together with local steel fabricator Brian Arkins, Andrew has been teaching metalwork skills to Bridge Project programme participants over the last year. 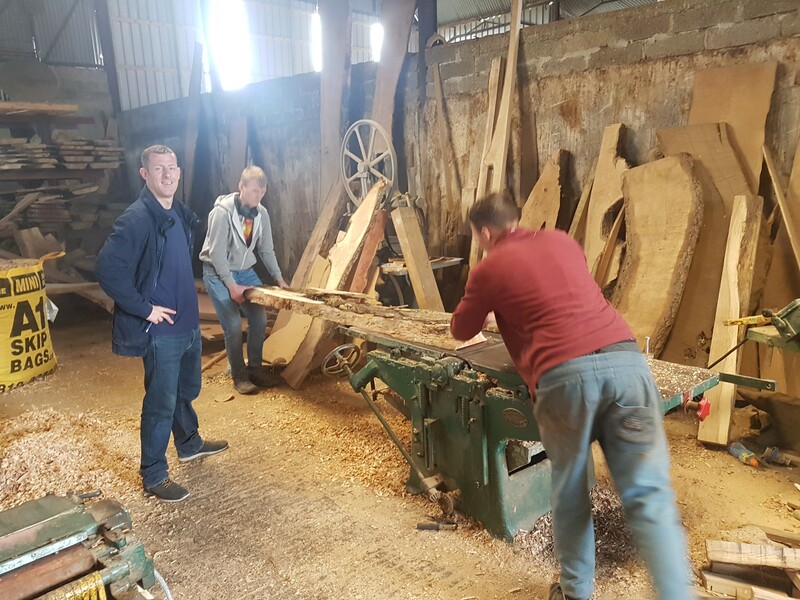 For their TEDxFulbrightDublin installation, they are developing two original large-scale wooden and steel plate sculptures, with a resin and lighting component. The team have designed the piece around the theme of ‘Notion of a Nation’. The sculpture includes wood from a walnut tree that at time of felling was believed to be one of the oldest living trees in Ireland, dated to c.1610. The piece will be displayed on the TEDxFulbrightDublin stage this Sunday. Andrew has also worked with The Dublin Mens shed based in Pimlico, the local Bridgefoot Street park campaign, and hosted a local art exhibition with the school street family resource centre and the CMS on Bridgefoot street. The Bridgefoot Street Park Campaign will also be contributing to TEDxFulbrightDublin 2018 by delivering lunchtime historic insights into The Tivoli and The Liberties area. The Tivoli Theatre is due to close down next year, this event will pay tribute to rich history of the venue and the locality. Limited tickets for this event are available at www.tedxfulbrightdublin.ie.